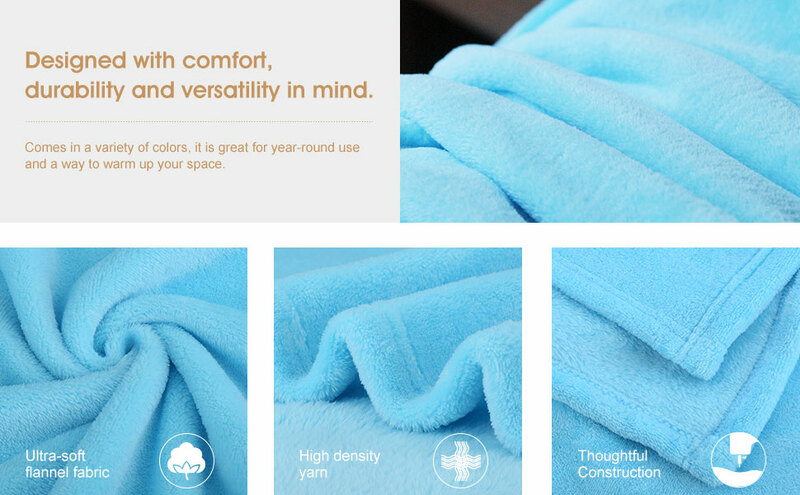 LANGRIA Luxury Flannel Blanket Extra Soft, Lightweight Polyester Fleece Throw Blanket, All Seasons, Easy Care, for Bed or Sofa, 60" x 80", Sky Blue is currently on sale for ONLY $9.99 Free shipping for Amazon Prime members! Would make a great gift! 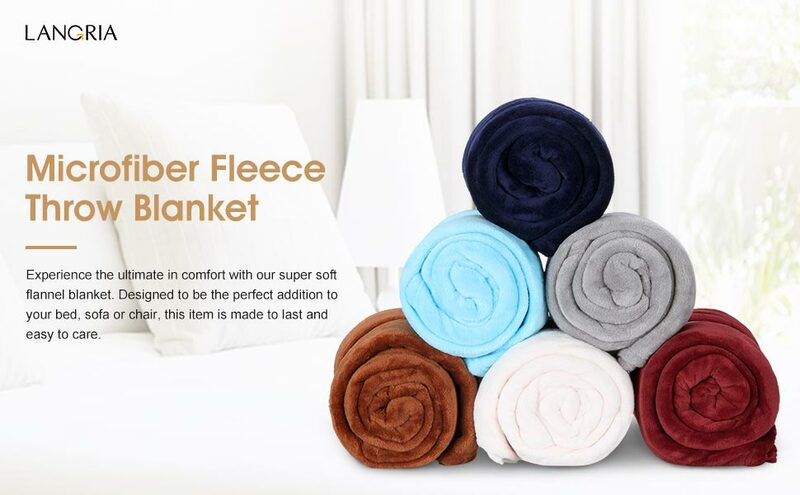 This bed blanket is made of 100% microfiber polyester for max comfort, providing you with the softest feel and substantial warmth on those chilly nights. Just throw it over bed sets or the couch in the living room for extra warmth when you are watching TV or napping. With various sizes and colors, the flannel blanket easily fits most home decor and adds a stylish element to your room. Snuggling up in a flannel blanket will be surely ease you into total comfort and relaxation. Not only it can be an addition to the bedroom and living room, but also be put in your car for portable comfort. 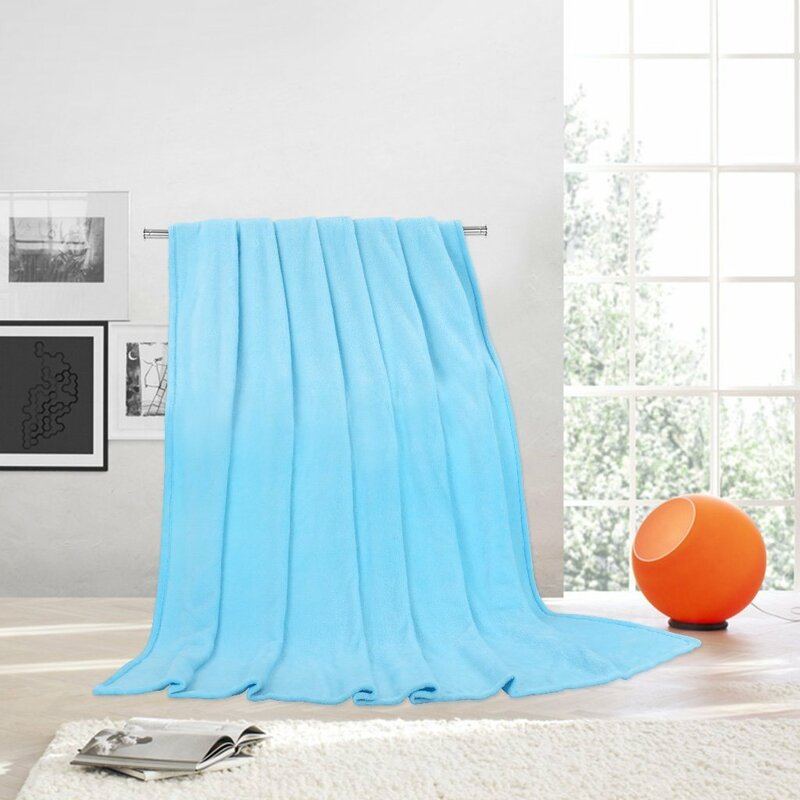 You can also use it to cover your bedding or sofa and protect them from dirt. Besides, the lightweight blanket is very easy to store and carry, making it a good company for travel, camping and backpacking. The high-density polyester makes the blanket lightweight yet extremely durable to ensure long term use and makes it wrinkle and fade resistant to keep its shape over time. The bed blanket is made of eco-friendly materials for your safety and is carefully sewed with an invisible seam for premium quality.